When you’re injured in an accident or other kind of incident, it’s natural to feel vulnerable. You’re liable to feel weak and scared, unsure and uncertain of the future. It can take time to adjust to life, or even to get your bearings again. That’s true even if you’re surrounded by people you care about who love you very much. So, it makes a lot of sense that you’d think the insurance company wants to help you. You’ve been paying them for years, so it stands to reason that now it’s time for them to help you. However, as the LA personal injury lawyer team shows, the insurance company isn’t always looking out for you. One of the main things the insurance company doesn’t want you to do is hire a LA personal injury lawyer. The reason for that is pretty straightforward: when you hire a lawyer, study after study has shown that you’re liable to get more money than you would have otherwise. This makes sense. If you have someone on your side, fighting for you, who has years of experience in dealing with personal injury law, then you’re naturally going to have a greater opportunity to make more money than you would have otherwise. That’s also because many of the ways that the insurance company tries to make money off of you when you’re injured are built on the idea that you don’t know as much as the insurance company and their employees. They’re counting on you to just listen to them, agree with them, and thus make less money than you would have otherwise. It’s even possible that an insurance company employee will tell you that hiring an attorney is a bad idea, that will just drag things out, the insurance company wants to deal with you directly, and so forth. You can always, of course, ask the insurance company employee if that’s true, why does the insurance company have so many attorneys? One of the first strategies for giving you less money the insurance company might avail themselves of is offering you a settlement. This might seem a little bit confusing. “If they’re going to give me less money,” you might ask, “why are they offering me money up front?” The answer is simple: because they know it’s a better deal for them than what you could win later on. By getting you to agree to a small, low ball deal, they’re actually saving money they would probably have had to spend had you gotten a LA personal injury lawyer. Have you ever heard the expression “before you make a big decision, think on it?” This is usually good advice. It certainly applies to signing any settlement from an insurance company after an injury. If you feel pressured in any way to sign their initial offer, don’t. In fact, no matter what you feel, you should show it to an attorney first. You don’t want to lose all the compensation you could have had for your injuries, pain and suffering, because you wanted to make a quick buck. Instead of taking the immediate, small amount of money, a lawyer could help you to get everything you deserve. Often, the insurance company adjuster (or whatever title they give themselves) will try to goad you into signing it using high pressure sales tactics. You’ve heard them before, probably when you bought a car or some other large purchase. “That’s the best deal I can give you,” “if you don’t take it now, this offer will go away,” “after looking at your claim, you’re lucky to get this, better take it” and so forth – those are just a few examples of the ways that insurance company employees might try to get you to sign their settlement. If you feel yourself being pressured, just walk away. Better still, hire the LA Injury Group, and direct the insurance company to deal with them. Even despite the insurance company employee saying all those things to you, they’ll probably come across as very friendly and kind. In fact, they probably will be. The insurance company adjuster might seem like the warmest, most empathetic person you’ve met in some time. That being said, you have to remember that they’re only talking to you so that they can make money for their employer. They are speaking to you to make money for the insurance company, not you. No matter how friendly they might seem, they sure aren’t your friend. On top of that, they almost assuredly know more about insurance, accidents, injuries, the law, compensation and negotiation tactics than you. So, you certainly don’t have to give them a recorded statement, either. There’s too many ways for them to twist it around and use it against you. Contacting a LA personal injury lawyer instead is a great way to get someone on your side that is going to fight for you. 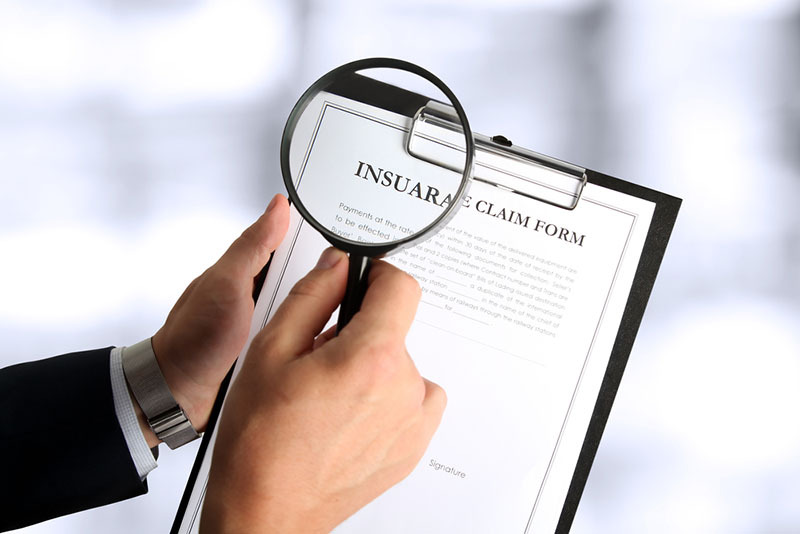 The LA Injury Group is looking out for your best interest; not the insurance company’s. The insurance company has experienced pros on their side, you should, too. As hard as it might be to hear or believe, the insurance company only makes money when they deny your claim. As you get less money for your pain and suffering, they get more. That’s what the entire insurance model is based upon. This is something your LA personal injury lawyer wants you to keep in mind during every interaction with the insurance company. They are looking out for themselves and their bottom line, and not you. An important thing to remember when dealing with an insurance company is that you don’t want to say anything that could be used against you to lessen the amount of compensation you could get for your injury. An example of this would be to diagnose yourself when talking to the insurance company without knowing all of the facts yet. Say you’re injured in a slip and fall accident, and when you talk to the insurance company adjuster, you say: “my leg’s a little sore, but I’m fine.” This seems like something normal for a person to say. Sure, your leg might hurt a little, but you’re OK.
Maybe you even are OK. You go on with your life, back to your family, your job, everything seems fine. Then, however, after a period of time, your leg starts to really hurt. It impacts everything: your job, your time with your family, all of it. Soon, you can’t do your job nearly as well as you used to, or even at all. You know you have to get compensation for this as it was clearly as a result of the accident. Unfortunately, this is where the insurance company can use your words against you. “But you said you were fine,” an employee of the insurance company could absolutely say. “Now, you say your leg hurts so much you can’t even do your job? Geez. Why did you make this up? You said you were OK after the accident.” This may seem implausible, but it’s absolutely the kind of behavior the insurance company will engage in. Instead of giving them a recorded statement, direct the insurance company to the LA Injury Group. The LA Injury Group is only a phone call or online message away. They have lawyers experienced with all facets of personal injury law. They can help you to make your case that much more powerful and compelling, so that you can get the compensation you and your loved ones deserve. You didn’t ask to be in an accident, and it certainly wasn’t your fault. To make things right, call them at their phone number (818)210-4558 or go to their site to get a LA personal injury lawyer.